Photography as changed dramatically over the last ten years, with the emergence of the smart phone everyone thinks they are a photographer. The Smart Phone photographer then aquires a Digital SLR, purchases a couple of cheap flashlights and suddenly they are doing weddings for the Bride that really doesn't care too much about what she ends up with. If you are that Bride then your welcome to the cowboys if you want a professional approach then we are here for you. At Red Box Studios we provide the quality photography needed for important clients. We have the correct high end equipment, a studio, a full team of photographers, design and post production facilities and the knowledge to create what is needed to make the ultimate wedding album. Stephen Lee has made a succesful life long career from Photography with Studios in the UK and Las Vegas USA. Photographing many stars in TV, Sports and Entertainment. Creating an experience that can only be gained by a lifetime of photography at this level. At the same time keeping up with the latest technology in cameras and lighting. 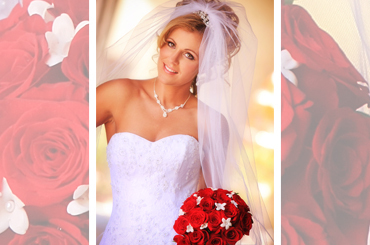 At Red Box Weddings we provide a professional service to create a professional product. Our wedding photography is like a production shoot with added lighting and a lot of great ideas. We capture the natural reportage style shots via a second and sometimes third photographer, leaving the main photographer directing the key shots needed for our style of photography and to create and record your big day. Working alongside Steve is Photographer Will Durocher who brings a young approach and a style that compliments everything we do at Red Box, together the two of them create the magic that will make your wedding story into a fairytale.